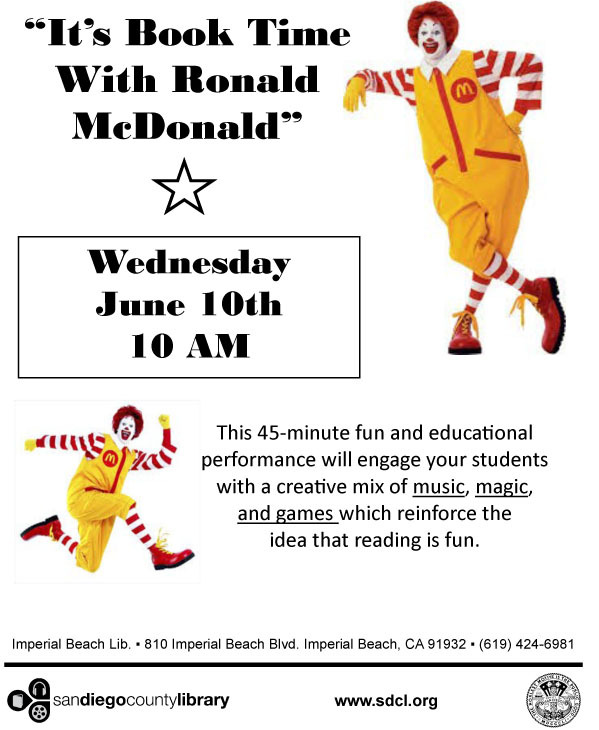 “It Book Time with Ronald McDonald” at the Imperial Beach Library on Wednesday June 10 at 10am. Bring the kids for 45 minutes of music, magic, and games which reinforce the idea that reading is fun. This 45-minute fun and educational performance will engage your students with a creative mix of music, magic, and games which reinforce the idea that reading is fun.